Bespoke training for an off the shelf price? 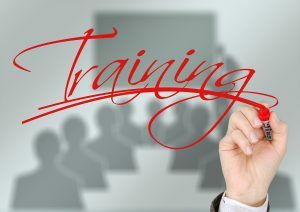 For business training, you need look no further than us. We specialise in management and key business skills training and development. And, when you engage us directly, the cost savings will be significant. As such, we have provided bespoke business skills training for the cost of other “off the shelf” courses. When your training budgets are stretched, value for money is vital and we provide that quality, with a price you can feel comfortable with. We work throughout the UK, from a South Wales base. Take a look through and don’t hesitate to call us for a chat, totally without obligation. Oh, and ask for a free taster session. Have a look at Gareth’s LinkedIn profile which contains numerous endorsements and recommendations. It will demonstrate the wide range of subject areas we can train, all of which will be tailored to your particular situation.